When did you feel like an “adult”? I consider the day I graduated college to be the day I became an adult. Sure, I had some responsibilities beforehand, and yes, I barely knew what I was doing afterwards, but that was the time where I truly felt like I was on my own and was finally free to shape my world and my life. That was May of 2005. I started working at Great Harvest in October of 2008, and applied for our franchise in July of 2009. That’s about the time when I felt like I reached the next level of adulthood – a stable life path that I felt was worth following. Until that time, I was jealous of people who had apparently found their career calling, but now I wonder if they felt as insecure as I did? So that means there was about a four year period in which I was still pretty naïve and lost, yet I distinctively remember feeling during that time that “one day, I will have kids.” It wasn’t even a negotiable sensation in my mind… really, even when I think back to middle school, I always had the assumption that one day I’d be a father. We have several friends now who know that they never want kids and it’s such a foreign sensation to me – did they know this when they were in middle school? Now I’m thinking about when is the right time to have kids? I’m talking purely from an emotional level – you can find all the advice you need about the physical right time, or the financial right time. How do you just know? My parents had me when they were 30 and that always seemed like a nice round number to me. But growing up I always imagined them as way more mature and settled than I am right now. Thinking about it now I realize they probably felt as nervous as I do! Reaching a stable career is something I sought for a long time. I almost expected that my life would instantly enter this period of calm where I had clearly defined borders between work and play, and at any time I would be able to leave work behind and just relax. But any small business owner will tell you that your work is so intertwined with your life that you never truly escape. Sure, we’re good about not bringing work home, taking our entire Sunday off, and working hard to find the time to go on vacations. And I’m also very thankful that the unexpected, ever-changing nature of my job is what makes it enjoyable and interesting. But I’ve never quite reached that moment of quiet when you suddenly realize you have absolutely nothing to do. Does anyone ever reach that moment? My personality is such that I like to plan and plan and plan everything to the perfect detail and then finally I execute. But I’m starting to wonder and even accept and believe that it’s basically the human condition to never quite feel in control of your world. That’s the greatest fear I have about raising a child. I believe that my child deserves every single bit of my attention, but I worry that with everything else going on in my life, can I give them all the attention they deserve? How do you ever weigh any decision between doing X thing for your child, or Y thing for any other person or thing? I mean, by running the bakery I provide jobs for a dozen people, food for hundreds of people, tax money for our community, and hopefully a great business for our city. But does that mean anything when my child is at home experiencing the world without me? How do other parents deal with their time and responsibilities? I know I’m being unreasonable – if we can figure out how to run a business almost entirely through experiential learning, I’m sure we can figure out how to raise a baby. I’m sure I’m not the only parent who has wondered what the heck they’ve gotten into! My world will continue as it always has, except now I’ll have a little someone to experience it with me… for all the wondering I’ve done about other people’s thoughts, somehow I feel like my child’s won’t be quite as hard to guess. Word of advice…I’m too much of a planner for my own good! Whereas sometimes it comes in handy, with babies you cannot plan! I tried despite the fact that I knew it wouldn’t work, and for that reason I had a really hard time adjusting to the first 3 months-because NOTHING goes according to plan!! It sounds easy to just go with the flow, but for us over-analytical planners it takes practice! Good luck! I have yet to be a parent. I wish I could give you some sort of advice on the parenting front… but I am completely unqualified. I am… however… the child of two VERY hard working parents… one a doctor… another a business owner. So I have firsthand experience of what emotions the child may experience when it comes to living in such a household. Growing up… I felt neglected and resentful & wished more time had been given to me. Even now… I still wonder if certain things would have worked out different if I had had a different childhood. On the other hand… as an adult… I am able to look back on my childhood w. a type of perspective that comes only from age & wisdom. I am closer to my parents now than I have ever been… partly due to the fact that I now have the understanding that they did what was necessary to provide for a family of six. Also… I am able to recognize that while they missed most school functions… they were there for the important events in my life… both good & bad. I guess what I am trying to say is that as a parent… your first obligation is to protect & provide for your family. What this means is that you may not be available for everything… but you will undoubtedly share in the celebrations & heartaches that will shape your little one’s life. In time… he will come to appreciate it as I have. Matt you’ll be a wonderful dad. Trust yourself and before you know it, that little one will be in the bakery with you helping you with new breads! Just plan for the unexpected:) I was/am a planner and it all went out the window with babies. My kids are now 17 and 21, complete opposites of each other (girl/boy). Neither are planners. Go figure. It drives me nuts. Just have fun, enjoy your time and you will find what works for you. Thanks for sharing Matt. It’s refreshing to hear some concerns about having children from a male perspective. Sometimes I hear about people having babies and I wonder “aren’t these twenty something guys nervous about this at all?”. That’s when he was in the process of losing 30 pounds! Oh wow! I didn’t realize he had lost so much weight. I don’t think he looks big in that pic…just really different! Wow, that was great. I love reading a man’s perspective on things. You can really see that he’s excited about this… in a man type of way hehe. The picture of him holding the little one is priceless haha. What a wonderful gift for the baby to have this from his or her daddy to read one day! And as a parent I can definitely relate to Matt’s feelings. All three of my children were planned (my 3rd was IVF so very, very planned in that case) yet there was still that feeling of “oh my, what am I getting into” EACH time. What a cute post! Fun to hear Matt’s perspective. I also wonder when I’ll ever really feel like an “adult.” When I first started working after college (I was 21 or 22) and having coworkers that were like 26, 27, 28, I remember thinking that they seemed so old and put together. Well, here I am at 29, and I still feel clueless and very young. I always thought graduating and having a job would make me feel like an adult – nope. I guess maybe everyone feels this way — just figuring everything out as we go along! Very well written, honest, and insightful. As a 58 y/o mom of three 20-somethings who’ve all turned out to be good people, I want to reassure you that you can’t give your child every bit of attention s/he needs all the time. Not possible. BUT…you are not in it alone. Hilary Clinton said “it takes a village to raise a child”, and she was so right. Overindulgence fosters dependence, entitlement and neediness; unindulgence has it’s own set of huge neglectful problems. You guys will be great parents and find the right balance of loving attention while fostering resourcefulness and independence in your children that will bring them along into fine human beings. And you’ll do it a day at a time! Nice thoughts, Matt. You guys will learn that it’s impossible/unreasonable to give a child every bit of your attention. It wouldn’t even be healthy. That little baby will be the center of your world, forever, but eventually they become part of the larger world around them, and it’s not a bad thing. Every family finds their own way. Lovely. On parenthood in general… I sometimes think, how great to have someone other than me to consider (aside from my husband, of course.) I think the experience of having a baby will be really grounding in a way, and I’ve heard other parents say it kind of helps realign priorities. When you are wavering between decisions, like a move or a job or a social activity, one thing will stand out as being better for the kid. So in a way, I think of it as a simplification of life rather than a complication. 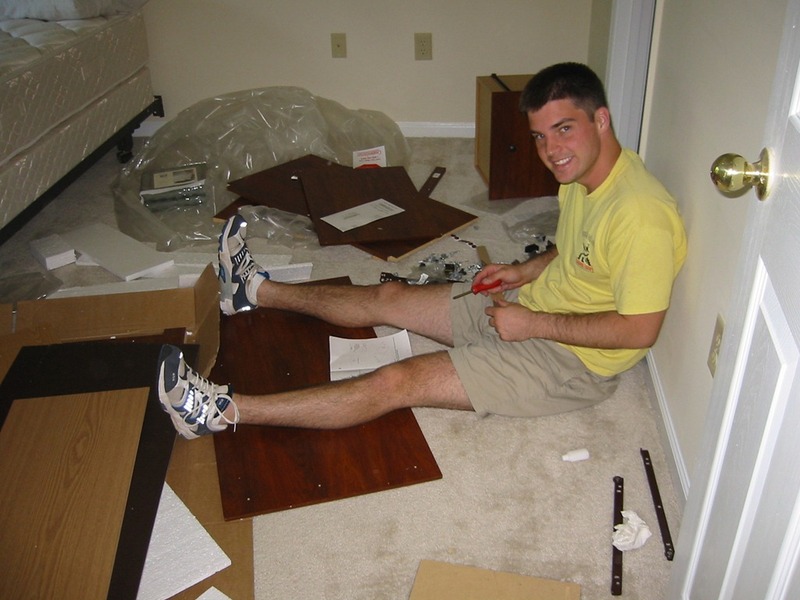 And of course, the job you do may be time consuming, but it supports your family as well. Plus, a bakery seems like a more kid friendly “office” to visit that somewhere at a bank…and how fun for a kid to see their dad making something tangible. I should add…as my pregnancy has progressed…I think the roles have flipped…at almost 33 weeks my pregnancy is pretty much in everyone’s face. I can’t stop thinking about birth and beyond and my husband is obsessed with my belly and what the baby is doing in there. Question? … You said how you applied for the Great Harvest Bread franchise in July of 2009. Since I do not own a business, I am not sure how it works. But does it take a while to get approved or something for a franchise, since your grand opening was last summer? Just wondering. I believe you both will be wonderful parents, and being parents will become second nature to you both. Hi! Just wanted to ring in and say it was really nice to read Matt’s perspective. One thing I’d be careful about is truly believing that “…my child deserves every single bit of my attention…”. Your child deserves a TON of attention, but not every single bit that you have to offer. It’s important to make sure your interests, hobbies, friendships, etc get the attention they need too, and that your child sees that you nurture all areas of your life. You guys are going to be fantastic parents…enjoy the ride! Thanks Matt, that was brilliant and so nice to read your personal thoughts, I am a parent of a 15 month old and alot of your concerns were and still are my concerns. My only tidbit for you is that for me some separation and time apart is good, a parent needs to take care of themselves so they can take care of their child and that includes mental, physical, and emotional well being for you both. Also your passion for your career is likely to be a wonderful example for your child. You’ll find the balance that works for you. Again thanks for sharing! GOSH this was refreshing to read! I feel like these are the thoughts that everyone must be having (?) but aren’t usually sharing. I found myself nodding along through most of the post, as I’ve had many of the same thoughts and feelings. I’m also glad to hear that other people feel like they don’t have it all figured out! I, too, always sort of assumed at some point life would just fall into balance and everything would get easier. I think the ability to move forward with something even though all the details and plans aren’t made is something it takes a while to be comfortable with. I look forward to seeing how your journey unfolds. Thanks for your candor Matt! Kudos to Matt for sharing your thoughts with all of us! It’s always so interesting to see the male perspective. Matt, I think you’ll be a wonderful father. I am a total Type A planner and I believe that most humans never feel 100% in control of their world. And I’m actually grateful for that. My husband always tells me to “trust in the process” – the process of planning, effort, dedication, passion, etc.If you commit to the process of achieving a goal, whether that is opening a bakery or being a good parent, then I believe you will succeed, despite all the inevitable bumps in the road. You and Kath will be great parents! I almost laughed out loud when I read this. Your world will be quite different. As my brother in law put it when his first child was a few weeks old “you feel like you are out in the middle of the ocean treading water and you are so tired but you can’t stop because you’ll die.” But they did just fine! Yeah, I kind of laughed out loud too. I think it’s foolishly optimistic to think that life will continue as always, just with someone on the side experiencing it with you. 1) You can’t be sure that life will continue as it always has, not at all. People expect that their children will be exactly what they expected – well-adjusted, happy, and easy to raise – and that’s just not always the case. 2) Your child may not want to experience life with you about 14 years down the road. Well, or 2 years down the road, but at that age they don’t have much of a choice. I am speaking from the child-free-by-choice perspective, so I can’t say I know any of this personally. But as a therapist who deals with tired, overwhelmed parents on a regular basis, I can say that I think this is one of the most dangerous expectations to have when you enter into parenthood. I don’t think he means his life will not be different. I think he means life goes on and it’s not like moving to the moon and never doing any of the things he loves ever again. People told us when we got married that life would be “sooooo different”. But it wasn’t at all. We were the same Kath and Matt just living life together in new ways. Having a baby doesn’t mean never doing the things we love to do. We will just adapt them to our new lifestyle. I have a friend, who has 5 children of her own, who told me when I was pregnant with my son that having one was nice because “one can fit around you but you need to fit around two!” and I have to agree that there is a lot of truth in her words. For us as a family at least. I’m not going to lie and say life hasn’t changed for us because of course it has, that surely is the nature of life itself, but also my life isn’t “over the way I know it” as so many people told me. Sure things take some more planning/longer amounts of time than they used to but esentially I am still Debbie and Matt is still Matt (yep I have a Matt too!) just with this new added role of Mummy and Daddy added in. I guess it’s very different for everyone though. People LOVE to rub it in your face about “oh man, your life is gonna change sooooo much! !” and they give you this smug grin as if it’s THEM who gets to teach you a lesson. What is is about human nature that loves to rub things in others’ faces? Try not to take it so personally, Matt. I know it’s annoying to hear people say “YOU’LL SEE!” but the truth is, they can say that because they have experience you don’t. It’s not necessarily them trying to be smug and rubbing it in your face, it’s them saying to you that although you may think you have an idea now, you really don’t until you’re experiencing it first hand. While it’s true that you may be used to early morning hours, you yourself admit you have no experience raising children. While it’s great that you’ve been getting up in the wee hours for many years in order to run your GH franchise and it will certainly help you in your parenting endeavors, it is most definitely NOT the same as waking up to care for a crying newborn…that’s all people are trying to point out when they stuff like that to you. Totally agree! The first few weeks have been tough for me (my little man is 3 weeks old). But slowly but surely as i am feeling back to “normal” and baby is falling into a routine, you find a way to continue living life the way you did before. It’s not always easy or the same, but when you decide to have a baby you making a choice to change your life, its not a sentence. Six. Excepting vacation, I have not had an uninterrupted night of sleep in six years. This is pretty typical if you have two or three kids. Oh dear. Waking up to an alarm clock, after a full nights sleep is very different to dealing with the unpredictable sleeping patterns of a baby. I don’t think people are being smug, they are simply telling you like it is. Your life WILL CHANGE when you have a baby, there is no doubt about it. And to think otherwise you are setting yourself up for failure. Having a baby is wonderful, no doubt about that, but accept life will change. Many. Many, many, many. MANY. Still do, in fact, with a 9 year old – in our case it’s mostly because of a medical condition that requires monitoring through the night, but even without that you can expect sleepless nights from bedwetting, bad dreams, illness, and a host of other reasons. And – while I would NEVER wish it on anyone – you have no way of knowing that your child won’t have medical or other issues. I certainly never expected mine would. Sleep and I parted ways a long, long time ago. I have to say that waking up early for work is very different. Without kids, if you come home shattered at the end of the day you can simply veg on the sofa, blow off dinner if you want, have a relaxing and early night. Not so with little ones – being home is a full-time job in itself, ON TOP of the full-time job that has you up at 3AM. Wake up at 3AM every day, work, then come home and start another job for a couple more hours in the evening – oh, and be sure to wake up once or twice between the time you do go to bed and 3AM as well, just for kicks. Totally different animal, I promise you. I don’t think it’s smugness, or “rubbing in someone’s face”. EVERYONE changes when they have kids and finally experience life on the other side of the fence – every messy, sleep-deprived, scary, exhilarating, wonderful moment of it. You truly can’t realize until it happens to you how rosy-colored your ideas were before. I think most people expect it will be “different” for them, and while that’s true to a degree (we all handle things differently, every child is different, etc. ), the fact is having kids DOES change your life. A lot. In ways you never, ever expect – some great, some not so great. Really….some aren’t so great, and a lot of people never really consider or prepare for that. It’s an incredible sacrifice, and parenting is not considered one of the hardest jobs on earth for no reason. I think it’s naive to palm off the advice, knowledge or words of people who’ve “been there, done that” as a desire to teach you a lesson. Seriously? If that were the intent it would be far better to just sit back, say nothing, and wait for reality to hit. Whether your experiences as a new parent ever exactly mirror the experiences of others or not, the fact remains that there is truth in every word of advice you’re getting. Being a parent is a crazy, amazing, frustrating, nerve-wracking, joyous, incredible experience, and it will test you in surprising ways. Keep comparing it to waking up early to bake bread, and you will most definitely be in for a surprise! This is so beautifully said. Very very well said Sue. Kudos, best things I’ve read all day! This was so great to read! My husband and I have had this conversation more than once in the past year and what Matt has said is basically a transcript of what my husband has said. I’m generally the one that is eager for change and for new things in life and he is the planner (not to say he doesn’t like moving forward, but he takes a lot more time to plan/think about it) whereas I know what I want and I don’t need as much planning to feel good about going for it. I bet this is the case for a lot of partners out there! I’m looking forward to reading more about his POV and this whole fun journey! very thoughtful! my husband is a small business owner and i know he felt very similar emotions as matt does. on the one hand it is very hard because his job is our life, our future. he is there most days from 7am to 530 pm. but with that also comes a lot of flexibility. he can take a long lunch to come home and hang out with us, i can bring the baby to come see him and he can stay a long time because its our company, he can cut out early on a friday to make it to a doctor’s appointment. you guys will figure out ways to make it work so that there is enough time spent together. i personally think it is way better than a husband who works a 9-5 at a businessy type job. What a great post… I just forwarded it to my husband, as he’s a dad-to-be as well! 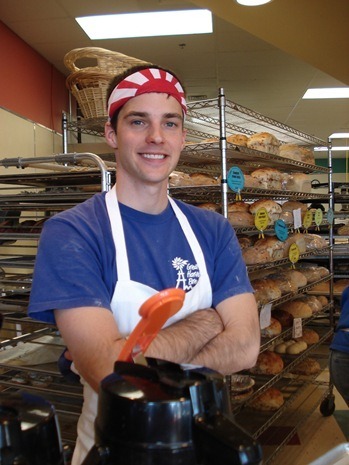 You’re very lucky – a bakery is a wonderful place for a kid to hang out and “help”! 🙂 I’m sure your kids will love it. 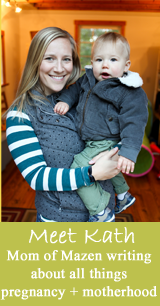 Really looking forward to more discussions about work and life on your blog, as well as the dad perspective! What a beautfiul, well-written, ensightful post! I am also a planner (& worrier unfortunately) so I can definitely relate. I am also stuck working a job I don’t particularly care for (The company & most of the people are great, but the work is not. ), a few months away from being 24, & stuck feeling like I should have more of my life planned out at this point. Quite a few of my friends are either engaged, married, pregnant, or have a kid so I feel a little behind. However, I know everyone’s path is different, & being able to hear yours filled with great moments & stumbling blocks helps to make me feel so much better. 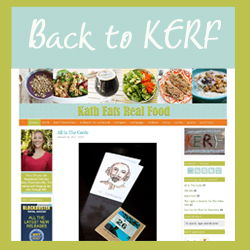 I love this blog & KERF! So thankful you both are sharing so much with your readers! Love hearing your thoughts! I think everyone feels thE same way when trying to decide when to procreate 🙂 I’ve learned that there never is a right now when everything falls into place. In fact, I’m not sure whenever would have made the plunge into parenthood if it wasnt for our little surprise, and now I can safely say, 6 months in, that it’s the most incredible thing we’ve ever done in our lives. You’ll see. As they say, a woman becomes a mother when she finds out she is pregnant, and a man becomes a father when he sees his child being born. So don’t stress about feeling connected at this point; the minute you see your baby, everything makes perfect sense 🙂 so happy for y’all! That was a great post – thanks for sharing your perspective! I think almost everyone feels that way. I’m almost 24 and I have NO idea what I’m doing.. and I remember when I was younger, 24 sounded so old and put-together.. not so much. I completely agree with Matt’s comment that it is human nature to never feel fully in control of your life. I think there is something freeing about accepting this and simply being confident that you will be able to manage whatever you may in encounter. In psychology there is a theory called the “good enough mother”– the idea is that you don’t have to be a perfect mother (or father). There are no perfect parents or perfect harmonious moments where everything lines up in life seamlessly to accommodate a significant life transition. You just have to have faith that you will do the best you can and that in the grand scheme everything will be fine. Congrats Matt on this exciting moment in your life and thanks for posting. What a great post, Matt! 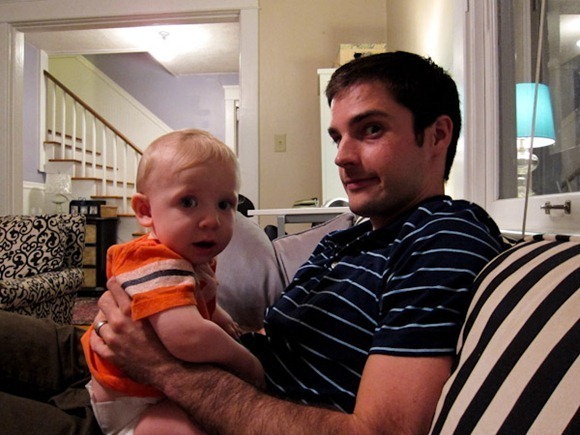 It is wonderful to hear an honest, male perspective of approaching fatherhood. You and Kath will be great parents, I’m sure. 🙂 It has taken my husband and I much longer to get a hold of what we want with our lives than we thought and now we’re working on it and we know it takes time. You just gotta have fun while your life evolves and go with the flow. Thanks for sharing! You’re such a good writer, Matt. And you’ll be a great father! I’m not a parent, but my dad is a small business owner for the past 30 years. He didn’t even want kids by the time he met my mom. He was 40 and she was 25. After my older sister was born he was gun hoe about more kids! He worked 60+ hours a week and as a kid. . . . I don’t really remember thinking that I didn’t see my father enough. He was there to pick us up from school, he was there to take us on Sunday drives or took time to take us camping in the Sierras or how he came to our rooms at night to check on us and even sneak us some sweets after bed time. He was there for our recitals and was there to clean up our injuries when we rough housed a little too much in the back. The thing is, I remember him being there, being part of my life almost as equally as my mom. And the times spent were memorable. I think, as a small business owner yourself, you will find the balance of business and home. My father, along with my mom, was able to provide a great life for my sisters and I. I am positive, you will be able to provide your future child with love, warmth, and the necessities to have a happy life. Your child will grow to understand that you have to work hard in order to provide for your family, but the most important thing it will know is that you love it and will be there for them always. You’ll be a great dad, that’s for sure! And I think you’re wise to realize young that you’ll never be really all the way in control. It took me to about fifty to realize I’d never quite have all the ducks in the row…. Very sweet thoughts. The fact that you are even thinking about these things means you will be an unbelievable parent. Nothing will teach you to relinquish control over your life as much as having a child (and going through pregnancy/childbirth for that matter!). Best luck. I like the post from Matt’s perspective. I don’t think that anyone ever gets the the point where the have absolutely nothing to do….. Maybe I didn’t follow your train of thought there. Did you mean that you expected to feel an emptiness or hole in your life without children and you don’t feel like that now? If so, I do have a similar feeling. My career has expanded to my life; probably if we had children earlier my career would be less important. ?? Not sure, but thanks for the post – it really made me think!! Just go with the flow Dad and you’ll do fine — YOU’LL SEE. I think when people are sharing their parenting horror stories, they’re not trying to be smug (well, some of them might be). It’s more like sharing battle stories, and they’re welcoming you into the club. I hear you on how annoying it is when people try to rub in your face how hard it’s going to be, how you’re never going to sleep again, how much your life is going to change. It was one of the things that drove me most crazy when I was pregnant last year. And the truth is, no amount of face-rubbing could have prepared me for the truth. I’m a planner by nature and my husband and I were sure we could adapt our lifestyle to baby and that the baby would adapt to our lifestyle as well. We ended up with a high-need baby born with intense preferences that rarely align with our own (even the NICU nurses commented on her intensely opinionated personality just days after birth!). The result is that our life HAS changed more than I ever dreamt, we’re permanently sleep deprived still at 9 months, and we’re also delighted to be sharing our no-turned-upside-down lives with this amazing little human being. She is a constant source of delight and I feel honored every day that I get to watch her experience the world as she grows up. Once I got used to the idea that I had to plan my day around her and that every time I thought I “figured her out” she’d change again, it got so much easier to focus on how wonderful motherhood is. Like anything, I guess… it is what it is (and she is who she is), once I found a way to stop wishing it were easier I felt a whole lot happier. Oh, since I’m rambling anyway, I’ll share… the best advice I ever got when I was pregnant was from a car salesman. He said the best advice he had for us was to ignore everyone’s advice. He was so right. Beautiful post! Definitely resonates with my own personal thoughts on adulthood and the prospect of having kids someday. I love this perspective also. As a working mom of two little boys (age 3 and 5….almost 4 and 6), I can totally relate. Actually we’re thinking of #3 and I wonder these exact same things. Will i truely have time to devote myself to 3 kids and a successful career? Honestly, my experience is that it takes some adjustment initially (it’s more mental than anything) and then you get into a groove and know what works for you and your family. Just by having these concerns Matt means you’re going to be a great Dad! Congrats again….love reading these posts…accelerates my baby making schedule (see, I’m a planner too and two kids haven’t changed that! ).